has anyone sent their oil for oil analysis? I gues on the camaro forums they are saying the direct injection motors(3.6 V6) are very hard on the oil and it should be chaged often. haven't done anything with oil. but i just sent some gas samples out for testing to see what octane the 91 here really is. Not the direct injection itself that is harder on it. Higher temps, due to a bunch of factors, like higher compression and leaner tuning, are really hard on oils. People here have performed UOA. Search, but it's better to go to bobistheoilguy for UOA. Also, if you're going to do this, install a Fumoto oil drain valve. Will make changes and UOA easier. , install a Fumoto oil drain valve. Will make changes and UOA easier. I justed used one of those for the first time on a 2010 Duramax, it was nice not having to get out a wrench. I put one on 4 of my vehicles since I found out about them. Good position on the Cobalt too. 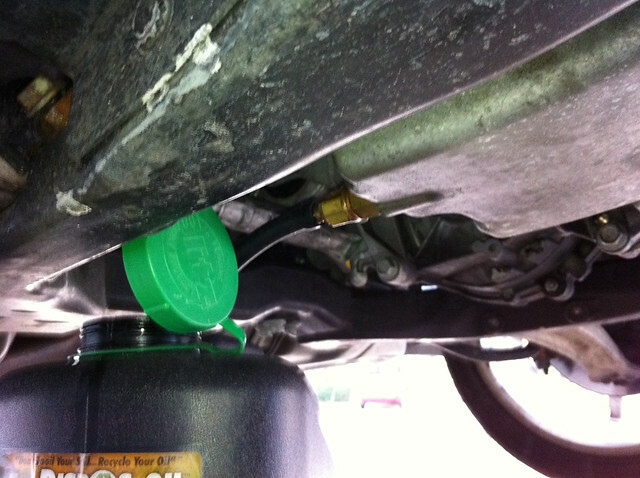 Perfect for UOA, or if you overfill, plus it's just cleaner when doing oil changes. Location: Wheh ah we? MA. I looked into buying one of those. How long is the drain time? I would think longer because of the smaller hole it has to drain through. I usually let mine drip for a while until there is nothing left. I dunno, 5 minutes? As long as you do it with a mildly warmed engine, it will flow quite easily. Pretty much by the time I'm done futzing with the filter (and draining the old one), the oil is all drained out. Where is the best place I can pick one of those up for my Cobalt? Wrong Trans installed under warranty? Quick Reply: has anyone sent their oil for oil analysis?